No one in York County Maine sells more real estate than RE/MAX Realty One. 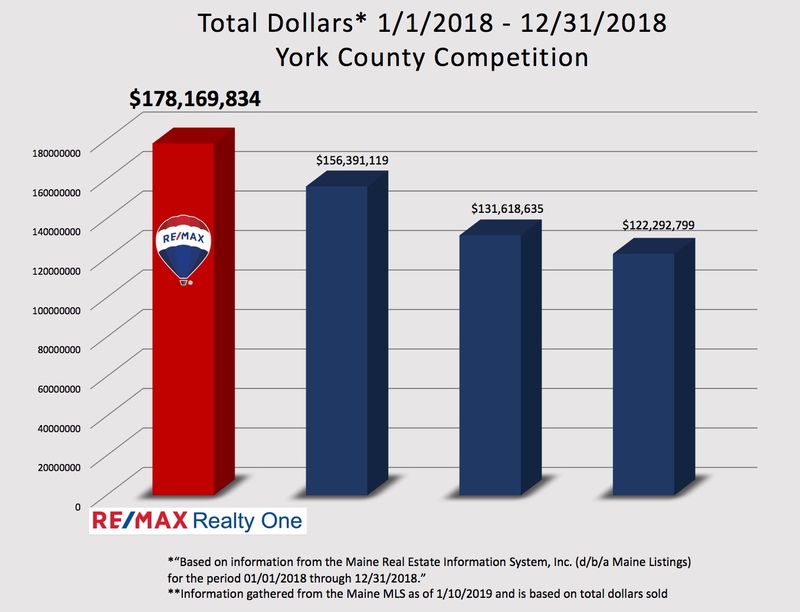 – RE/MAX Realty One closed $178 million in York County sales in 2018. – That is $22 million more than the next closest York County competitor. – RE/MAX Realty One closed 557 transactions (sides) in York County in 2018.